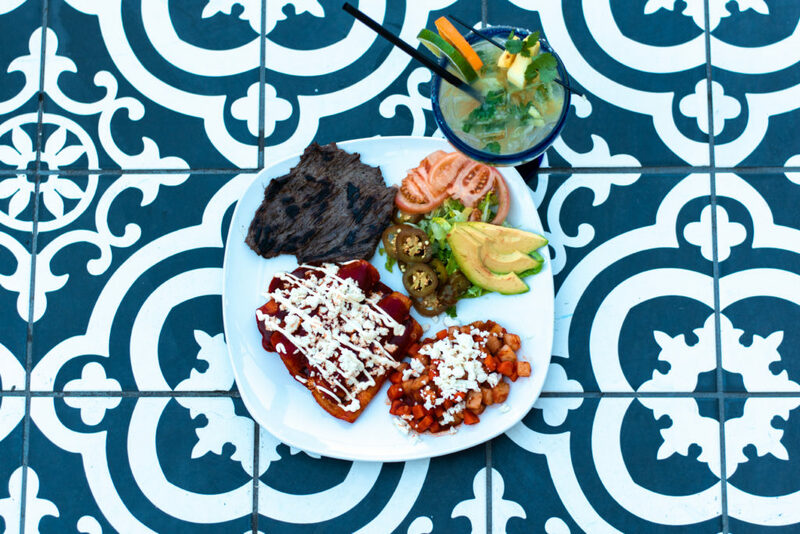 The owner of Blue Corn Tequila & Tacos nonchalantly runs through the expansive selection of dishes like Picaditas Trio Asadas Cochinita & Barbacoa and Huarache with Cecina and Rajas with the same simple demeanor as if she were recommending a cheeseburger and fries. In Salazar’s defense, the complex and impressive plates offered at her restaurant in Ichiban Square—which opened last October—have always been her everyday eating. Born and raised about three hours north of Mexico City in Queretaro, Mexico, Salazar grew up eating and preparing these homestyle dishes that have now made their entrance in the Baton Rouge food scene. The result? 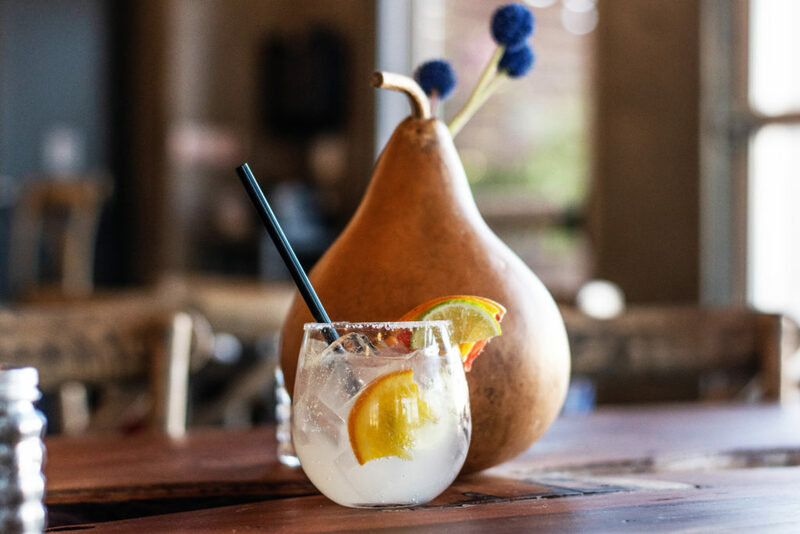 Authentic Mexican food—not the usual Tex-Mex—featuring meats smothered in complexly flavored moles or tomatillo and pepper sauces, a variety of ceviches and even a side of nopales, sauteed Mexican cactus. 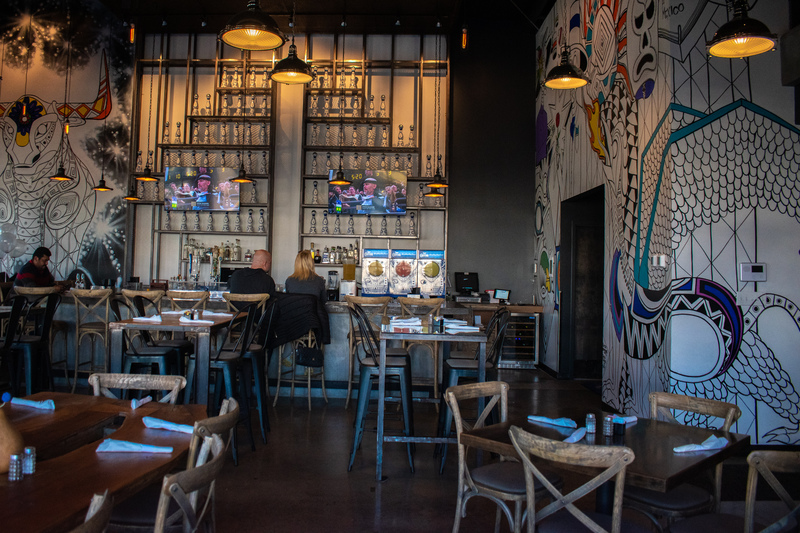 Beyond the warm aroma of homemade tortillas and spices when you walk in, the vibrant decor immediately welcomes you into Blue Corn. 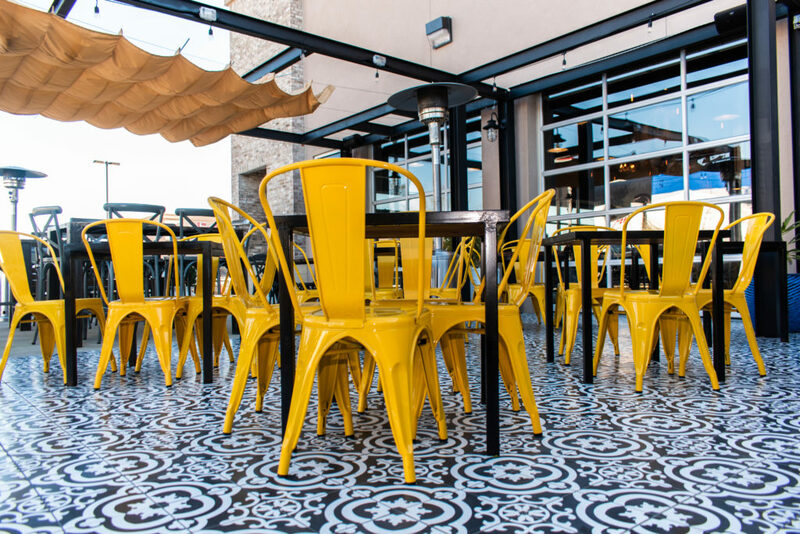 Floors decked with patterned tiles, bright yellow chairs making a statement in the outdoor patio area and colorful murals splashed upon the walls give the restaurant a bold and confident feel that assures customers they can enjoy their food and snap a trendy Instagram photo while they’re at it. This modern Mexican concept is also evident in the food. Every dish is as intricate as it is effortless, with interesting combinations of items that just taste good together (green tomatillo mole and pumpkin seeds, anyone?). 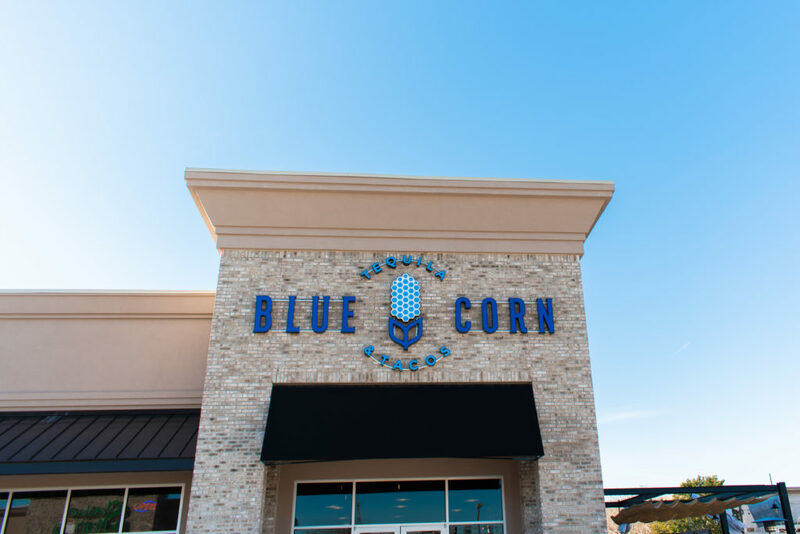 I decided to jump right into the experience with one of the restaurant’s most popular items, the Blue Corn Enchiladas, and was not disappointed. The enchiladas were filled with crema Mexicana and queso fresco and topped with homemade guajillo sauce, a rich sauce made with garlic, broth and dried guajillo chilies. The ingredients complemented each other in a way that could only come about through years of experience and recipes handed down through generations. It left me wanting more and more. Most intriguing was one of the side dishes offered with the plate, thinly sliced dried beef marinated in lemons and sour oranges called “cecina.” It’s a take on salted and dried meat that varies by region in Mexico. Though originally I thought it was a bit strange to be served a whole piece of meat as a side dish, after trying it I wondered how a side like this could have been missing in my life all these years. It was flavorful with the acidity of the citrus lingering in every bite, and it was a welcomed addition to my modern Mexican food experience. To wash it all down was another one of Blue Corn’s gems: a Pineapple Cilantro Margarita. The bartender chopped and mashed the fruit for the drink right in front of me, taking the “made-to-order” adjective to a whole new level. The freshly chopped fruit and well put-together drink tasted like a tropical paradise—a welcomed mood in this dreary January weather. Overall, what makes Blue Corn Tequila & Tacos so unique is the effortless gusto of the whole experience. Using the dishes Salazar grew up eating, preparing and perfecting, she has created an exciting new restaurant offering something we can all incorporate into our own everyday eating. The restaurant is at 7673 Perkins Road. It’s open Monday-Thursday, 11 a.m.-9:30 p.m.; Friday-Saturday, 11 a.m.-10:30 p.m.; and Sunday 11 a.m.-9 p.m.
Fast Break is a 225 Dine series that celebrates lunch in Baton Rouge. Follow along as we tour different dining options for a quick bite around the city. Read more lunch picks from the series here.